Predator World 14.1 DVDs are available! The greatest 14.1 straight pool players in the world! 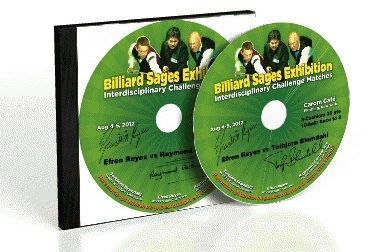 Buy the Billiard Sages Exhibition DVDs today! Efren Reyes vs Torbjorn Blomdahl and Raymond Ceulemans! 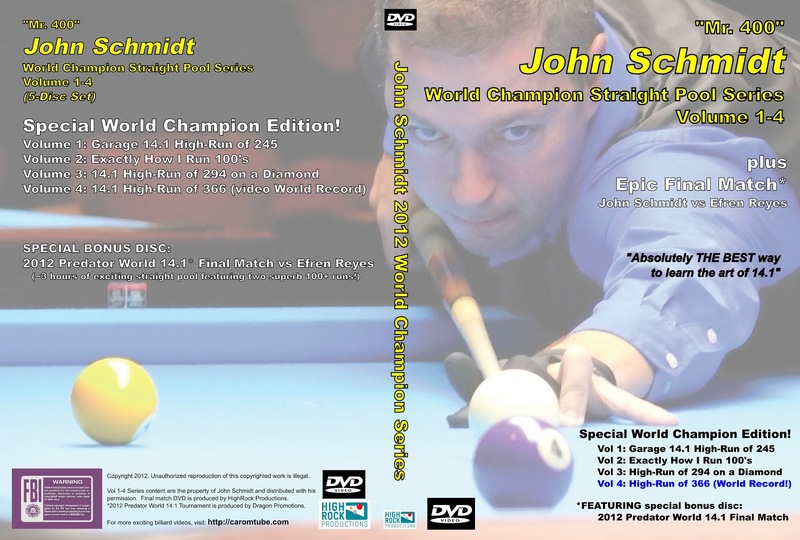 John "Mr. 400" Schmidt 14.1 High-Run Series DVDs! Buy selected volumes. There is no better way to learn the game of straight pool. Click HERE for a detailed walkthrough of the VOD payment process.